Michele Carmichael of Fresno has been supporting individuals with intellectual disabilities since 1978. She served as a Special Education teacher for 38 years and continues to volunteer as a mentor and consultant. 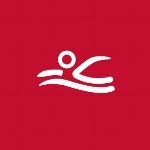 Michelle is passionate about Special Olympics and supporting the athletes and their families. She said that “every moment with Special Olympics makes me smile and fills my heart with undeniable joy.” Michelle has traveled the world with Special Olympics and has been a part of seven Special Olympics World Games and three Special Olympics USA Games, either as a coach, volunteer or spectator. 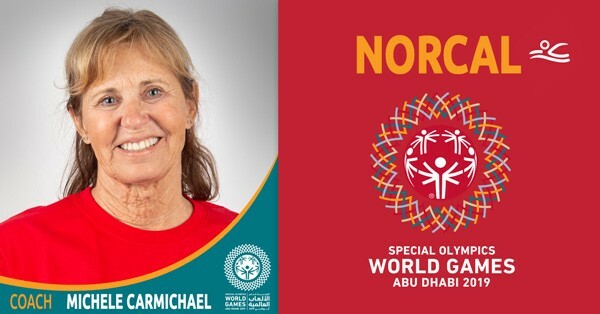 She is looking forward to experiencing Abu Dhabi with the athletes and making lifelong friends at the 2019 World Games. Every donor who makes a donation of $50 or more will receive a Special Olympics 50th Anniversary commemorative pin to show their support of our delegation. If you prefer to mail in your donation, please print this form and mail with your check payable to Special Olympics Northern California.